According to Edison Research, more than 23 million people listened to the Super Bowl on radio last year. That’s far from an insignificant number. It certainly accounts for more than just pizza restaurant employees driving around delivering to Super Bowl parties. If you are a current subscriber to NFL Audio Pass, you’ll get radio broadcast of the Super Bowl. The current Playoffs + Offseason package cost $14.99. The advantage of NFL Audio Pass is you will have access to the complete archive of games, including the playoffs and Super Bowl, throughout the duration of your subscription period. 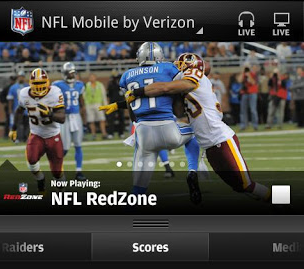 Plus, you can link your subscription to your iPad via the NFL ‘12 App and listen to the game on your iPad. There should be a plethora of radio stations available online broadcasting Super Bowl 47. The problem might be finding them. While most radio stations stream their broadcast online, radio streams of NFL games are often “blacked out” online due to exclusive rights deals. Below are two sports Radio stations from the participating teams that will be broadcasting the Super Bowl. Plus, you’ll get to hear local pre and post game shows if your so desire. These streams are free. If you are looking for other stations broadcasting the Super Bowl, check out this Super Bowl station finder from the Digital Globe Sports website. The Bay Area’s new sound for sports. Live stream of the station is available online. Get all the analysis from the San Francisco side before and after the game. Baltimore source for sports radio.Find the “Listen Live” button at the right side of the web page. If you are a Verizon Wireless customer with a compatible Android phone or iPhone, you’re set. Look for the radio link along the top of the screen around game time on Android phones. iPhone links should be found in the game center. I’ve a huge fan of the TuneIn Radio app and consider it a must have for any sports fans who like Sports Talk radio. You may have to do a little browsing to find the game, and some of the stations may restrict their streams from being used by TuneIn radio, but it’s another option if all others fail. TuneIn Radio for Android from the Android Market. 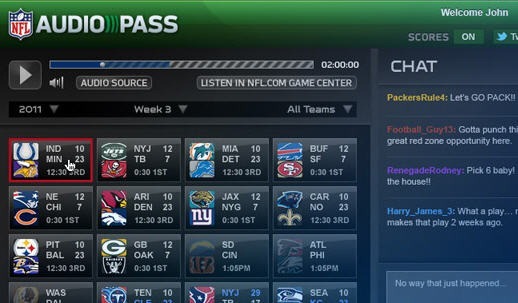 As mentioned above, if you are a NFL Audio Pass subscriber you can download the free NFL ‘12 App for the iPad and then link your Audio Pass account to listen to games live on your iPad. Selecting the Audio Pass button at the top right and sign in or subscribe. Download NFL ’12 for iPad from the App Store.